You don’t have to be a movie buff to see the appeal in a home theater room. More than your standard setup of a couch and flat screen, a home theater allows you to watch your favorite films and TV shows at the highest quality — and throw some killer viewing parties. That said, building a home theater isn’t such a simple project. They’re often the product of time, effort and extensive planning. 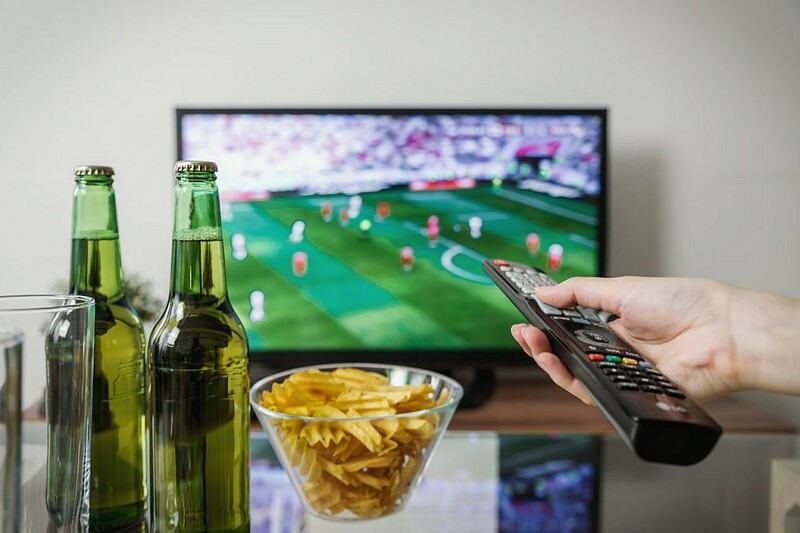 If you’re confident and enthusiastic about starting, we’ll offer some media room ideas to help you along. Let’s take a look at six simple steps for designing your own home entertainment center. 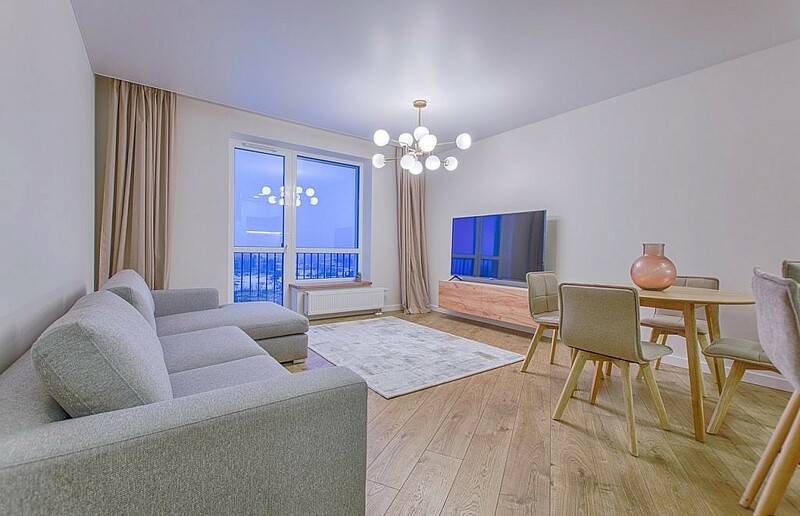 You’ll end up with an amazing space where you can sit, relax and enjoy your shows and movies with theater-like surround sound and picture-perfect color. Deciding the right room for your home theater is essential in creating the ideal space. Whether it’s a child’s old room or a basement space you’ve been looking to fill, make sure you think about the qualities a media room needs before you jump in. You’ll want to assess certain features of the room, like its shape and the amount of natural light it receives. For example, square rooms cause harmonic distortions, and windows admit light. These can both distract from the overall effect of your media room. 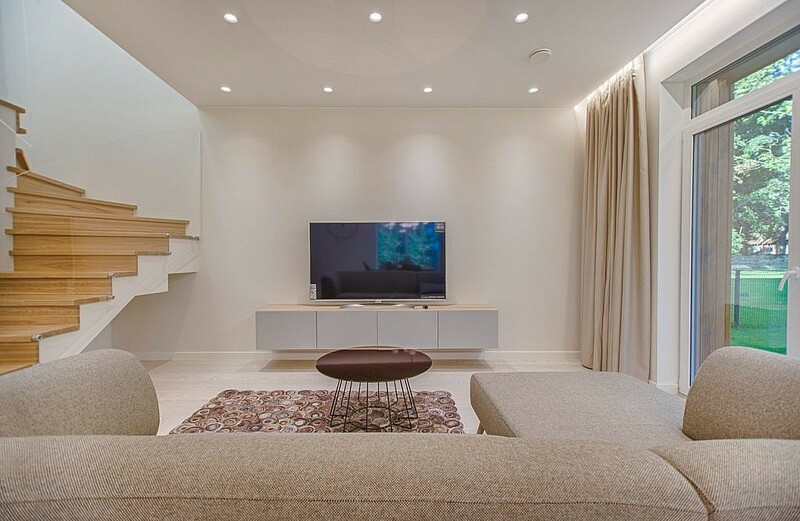 If you have a rectangular room available in your home, it’s probably the best space for your media room. You’ll have fewer issues with sound projection, and it’ll give you a nice, clear area to place your display screen and primary speakers. Still, you’ll likely have to make one or two adjustments depending on the properties of the space. Once you’ve selected your room of choice, it’s time to tackle the less ideal features of the room before they become an issue. Start off by assessing the light situation. You can address windows with heavy curtains, shades and blackout-style treatments. In general, covering up any reflective surfaces will help you manage light in your home theater. Walls can be a little trickier. While drywall is good to go, you might have a problem if you’re putting your media room in the basement. Concrete walls are notoriously bad for quality sound, and will make it hard to set up your home theater correctly. Studs and drywall installation are one solution, but you can also consider acoustic paneling to get rid of annoying echoes. The basics of home theater design also call for special flooring and wall colors. Carpeting with pads decreases ambient noise, and eggshell or flat paint in neutral browns, olives and tans do an excellent job reducing light reflection. Just make sure you avoid any gloss or semi-gloss sheens when you’re browsing through different paints to keep reflectiveness minimized. 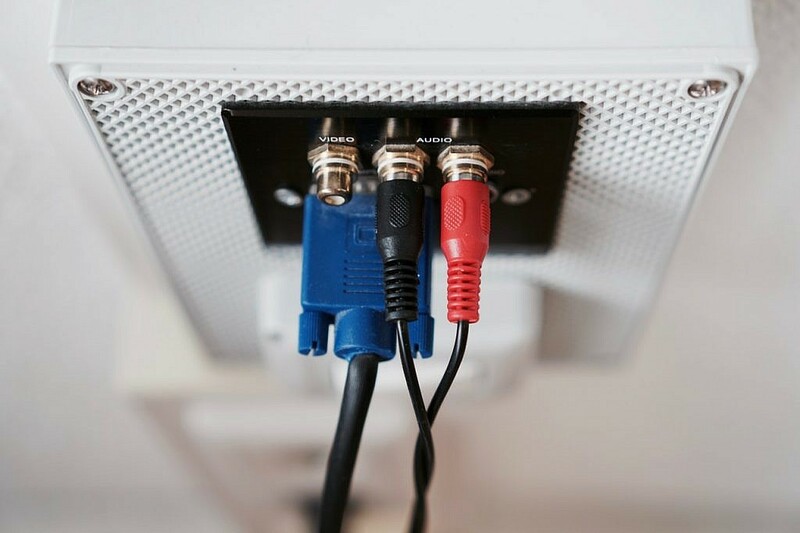 An audio-visual component rack is the central area where you’ll keep your source components. These items include your DVD and BluRay player, network media streaming and cable box, and home theater tuner. Naturally, you should locate this rack near an outlet with an internet source wire so that organizing your cables is convenient. You also want to keep your A/V rack well-ventilated to prevent damage from overheating. Give each component enough room, and try not to crowd them too closely together. You should take care to arrange your cables in an orderly fashion so that you won’t face the headache of untangling them all later. The average home theater has five full-range speakers and a single low-range specialist, which is a woofer. The placement of these speakers is crucial to delivering the best audio experience, so you should arrange three speakers and the woofer in the front of the room and two speakers behind you on either side of the seating. 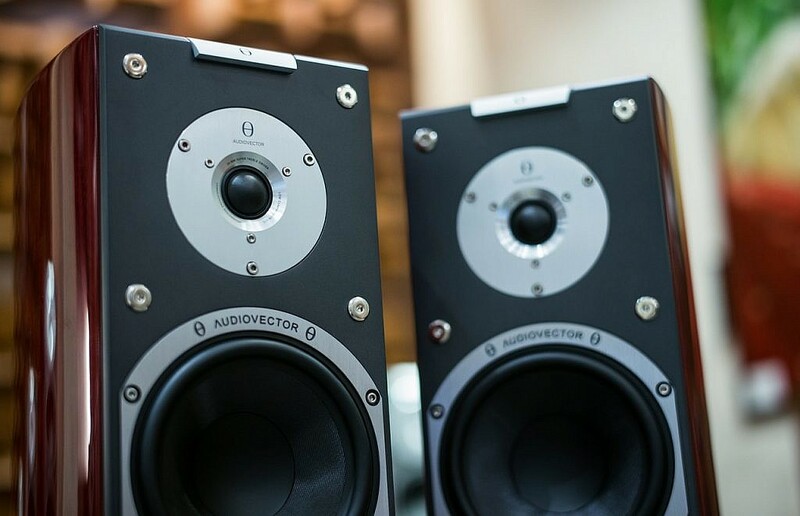 As a general rule of thumb, keep your speakers at least 20 inches away from the walls. You might still encounter some delay in sound projection. If you do, you should adjust the volume and rearrange the speaker placement. Every home theater is unique, and you may have to take a different approach than what we suggest. A home theater’s main attraction is its display screen, and you should take special care when you’re browsing the available selection. Bigger doesn’t necessarily mean better, especially in a smaller space where there’s less of a gap between the screen and your seating. Some home theaters might benefit from a projector instead of an HD flat screen. Most projector screens have strong picture quality and are relatively easy to assemble, making them a viable alternative. Just make sure you calculate the dimensions of your home theater to get the right distance and viewing angle. You can save some extra money by hunting for lightly used, high-quality TVs on Craigslist or Facebook. People are often selling TVs and screens at a discount as they move or upgrade. Once you find a deal, you can book a Dolly to arrange TV delivery without any hassle. After you’ve handled the fundamentals of your home theater — organizing the room, building an A/V rack and deciding speaker placement and display parameters — you’ve reached the best part of the design process. Decoration! You now get to enjoy adding your personal touch to the space you’ve spent so much time on. Before you begin, you should keep a few basic tips in mind. As you decorate, don’t crowd the room with too many inessential items, because they can distract viewers from the display screen. Hang any movie posters behind your seating arrangement, and when you’re reviewing decor, remember that simple is usually better, especially in a home theater where walls should be bare. Once you’ve finished your home theater room, you’ll see that it was worth the effort. There’s nothing like recreating the movie theater experience for your favorite film or hosting a Super Bowl party for the ages. Just follow some of the media room ideas detailed above, and you’re well on your way. If you need helping moving furniture into your new media room, make the process even easier by booking a Dolly. Our Helpers can assist with TV delivery, labor and junk removal — so your home theater room is put together in no time at all.